New York Times Jew-tracking graphic: A terrible way to cover a legitimate Iran deal topic. The NYT Screwed Up. But It Makes Sense to Note How Jewish Politicians Came Down on the Iran Deal. 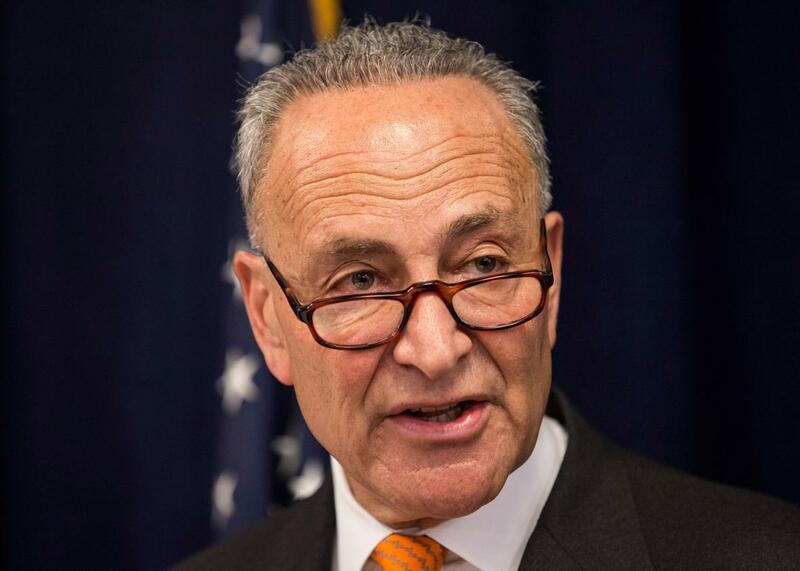 Sen. Chuck Schumer, a Jewish opponent of the Iran deal. After taking significant flak on social media that it definitely should have anticipated, the New York Times has significantly altered its graphic on the Democratic members of Congress who are opposing the Iran nuclear agreement, which originally noted, with helpful highlighting, if a member is Jewish. It was not a great look. The graphic was a little better in the context of the article it was meant to accompany, which notes that the debate over the deal has “divided Democrats between their loyalties to the president and their constituents, especially Jewish ones,” but it still didn’t do a good job of explaining to readers why Jewish as a category in this chart was relevant information. So I’ll explain: It’s not exactly a secret that the prime minister of Israel has been the most prominent critic of the Iran deal, arguing that it poses an existential threat to the Jewish state; that pro-Israel lobbying groups have spent record sums trying to defeat it; and that a significant portion, though not the majority, of American Jews strongly oppose the deal. Even if the people holding #JewishLivesMatter posters at Wednesday’s rally against the deal on the Hill are in the minority, the debate within the American Jewish community and concerns over what the deal will mean for Israel’s security are real. It’s not a coincidence that President Obama gave a Web address on the deal aimed specifically at American Jews. When prominent Jewish lawmakers, such as New York’s Jerrold Nadler, have come out in support of the deal, several outlets have found their religious affiliation worth noting in headlines. The Israeli media has focused in particular on how many Jewish members of Congress have supported the deal. And the pro-deal liberal Jewish lobbying group J Street prominently featured the fact that 60 percent of Jewish members of Congress support the deal in a two-page New York Times ad, an example of Jew-counting if I’ve ever seen one. I can understand why the labeling of Jews upsets people in this context: If it is used to suggest that Jewish Democrats who oppose the deal have dual-loyalty to the U.S. and Israel, that’s a dangerous and ugly thing. But it seems willfully obtuse to pretend that the position of the Israeli government and the views of at least a prominent faction of the American Jewish community aren’t a factor in this debate. Just as the Cuban ancestry of Ted Cruz, Marco Rubio, and Bob Menendez is generally mentioned in coverage of debates on Cuba, it seems relevant to point out where Jewish members of Congress come down on this issue, even if the Times’s graphic did a particularly ham-handed job of it.